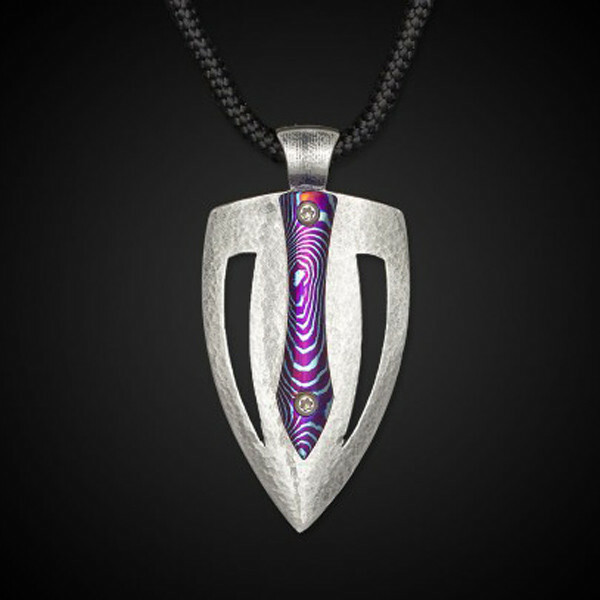 You'll look sharp sporting this arrow head necklace from the designers at William Henry. 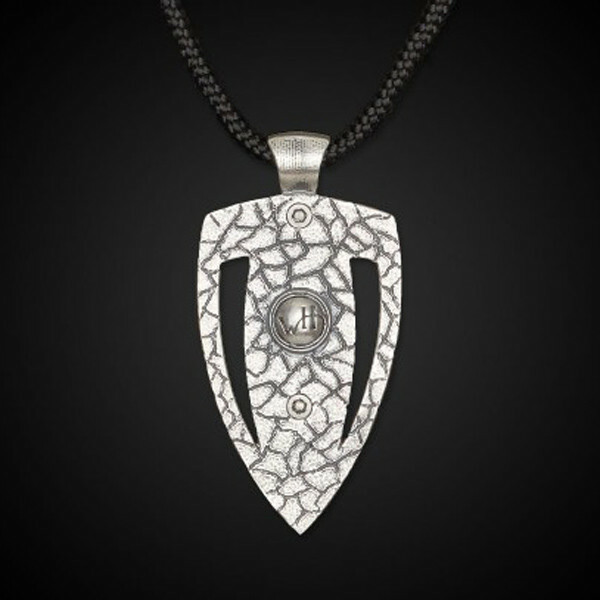 Part of the Pulse collection, the sterling silver pendant has skeletal cutouts and a hand-polish accent of forged and heat colored titanium alloy. 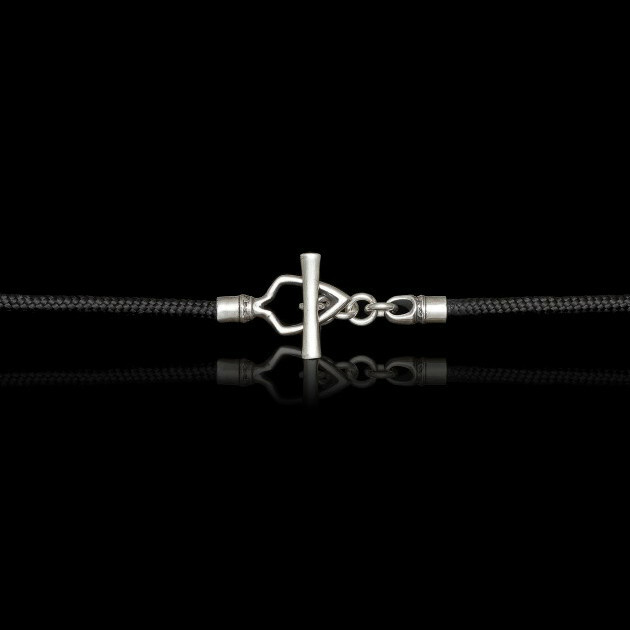 The tactical paracord necklace closes with the brand's own bar/toggle. This William Henry necklace is shapely and stylish.